﻿ New Central Guesthouse, Bangkok | FROM $10 - SAVE ON AGODA! Have a question for New Central Guesthouse? 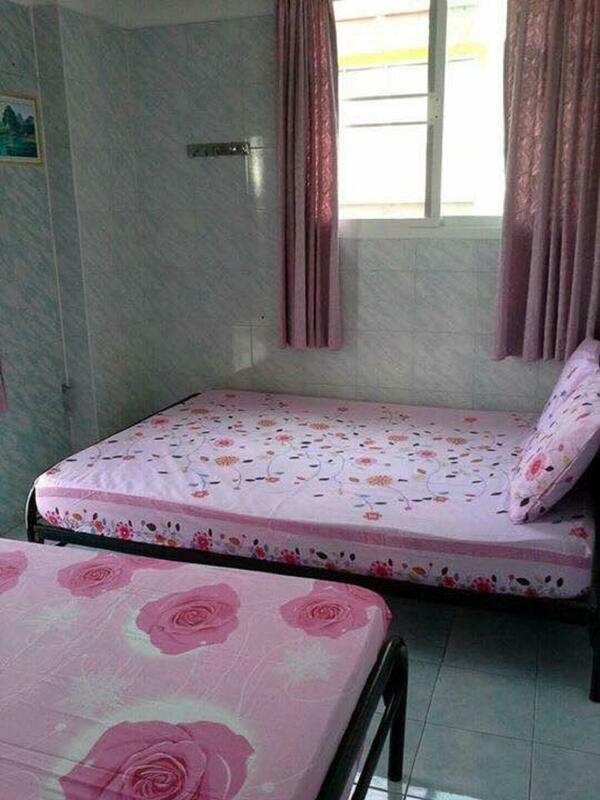 A stay at the guesthouse in Khaosan, Bangkok will make your Bangkok vacation unforgettable and enjoyable. Conveniently located in the center of Bangkok, this guesthouse is the perfect place to stay if you want to explore everything there is to do here. It has various convenient services to offer guests, which include daily housekeeping and luggage storage. There's free Wi-Fi available in all rooms, as well as Wi-Fi in common areas, enabling you to stay connected to the network without overspending on international charges. All of the rooms have air conditioning, towels, and a fan. The nearest airports are Don Mueang International Airport (DMK) and Suvarnabhumi International Airport (BKK), which are situated 20.6 km and 28.2 km away. Hua Lamphong MRT Station is 2.8 km away and Hua Lamphong Railway Station is 2.9 km away. This Bangkok guesthouse offers check-in from 12:00 PM and check-out until 12:00 PM. It has private and 24-hour check in and check out, so you can conveniently use the option that best suits your schedule. it is worth with money that i pay, the space is pretty small but it is ok for one night after party to sleep. We arrived here at 4am in the morning extremely weary after the long bus ride from Chiang Mai. We did have to pay for half a day in order to check in early but that was ok as it was a pretty decent price anyway. The room is basic but had a neat little balcony to watch over the alley below. It was fairly quiet even though it’s near khaosan road. It's like a new world or new discovery. 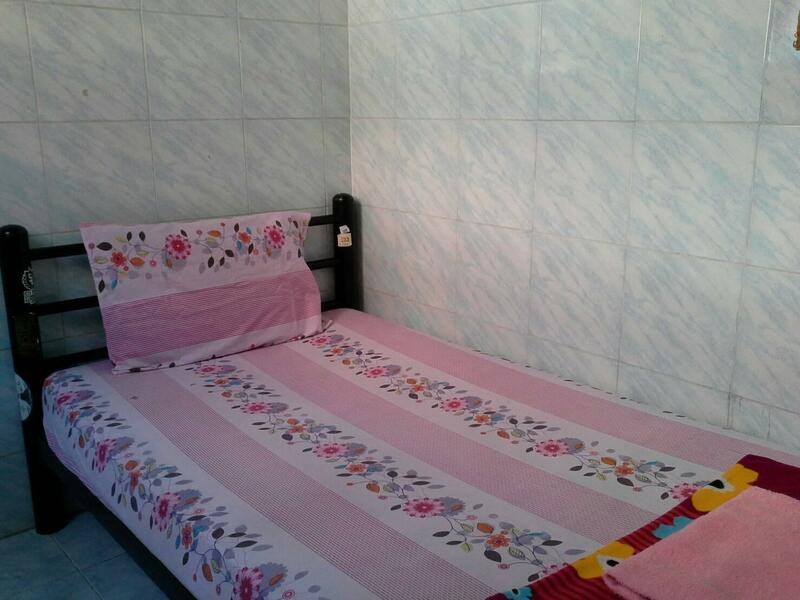 Basic room with ac. Clean and comfortable. It’s shared bathroom and the toilet is clean. The only problem was the flush didn’t work but they provided water on the bucket. Hope they fix it soon. Will stay here again if I come back to Bangkok. The lady,a cleaner at reception at night is disgusting.Seems mental case. Excelente ubicación. El personal de la madrugada es sordo muda, pero es encantadora. Es para felicitar al dueño por darle trabajo. No se escuchan ruidos y esta a metros de la calle principal. Llegamos de madrugada y sin embargo nos habilitó la habitación sin cobrar ningún día extra. Es un cuchitril en un callejón feo pero está céntrico sin los ruidos de una calle más allá. Al entrar casi asusta pero una vez dentro ves que no hace falta más, son gente agradable y por el precio... (pagamos 350 bats) teníamos AC y agua caliente en baño privado, si no necesitas lujos está bien. La que ha escrito el comentario sobre la señora que está por las noches en la entrada si que debe tener un problema mental. La señora es sordo muda y es un amor, agradable y amable, por suerte hay gente que da trabajo a gente con discapacidades. El personal fue genial, nos pusieron en una privada con baño aunque habiamos reservado sin baño porque cuando llegamos la otra no estaba lista aun, ademàs de que nos dejaron hacer el chek in bastante antes!! La ubicacion es perfecta y no se oye ruido. Отель расположен в отличном месте у улицы Каосан, офис Ломпрайи в пешей доступности. Рядом магазины, кафе, массажные салоны, туристические агентства. Номер на троих обошелся в 500 бат. В номере кондиционер и два вентилятора, два окна. Света и воздуха достаточно.Все отделано кафельной плиткой, чистота идеальная. Вполне приемлемый вариант для остановки на ночь перед поездкой на острова или при ограниченном бюджете.